Our very Full House: Winner! Guess who WON his race last night? 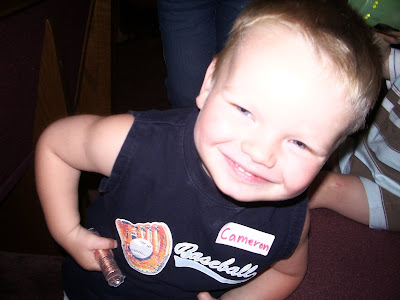 My sweet little Cameron, that's who! He took off like the wind at the sound of the whistle, and sure enough....he was the very first one to cross the finish line! We are so proud of you, buddy! Yeah! Way to go Cameron!